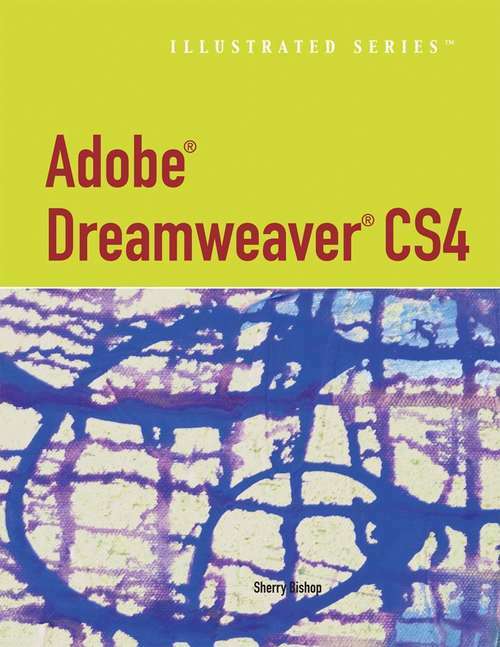 Designed to meet the needs of users from a broad range of experience levels, ADOBE Dreamweaver CS4 - ILLUSTRATED equips your students with Dreamweaver basics?and well beyond?using the insightful, user-friendly format for which the Illustrated Series is known. Covering the nuts and bolts, new cutting-edge features, and everything in between, the text presents each skill on a succinct, easy-to-understand, two-page spread?making for focused and thorough instruction. Detailed coverage and innovative learning tools maximize user success! From novice to experienced, ADOBE Dreamweaver CS4 - ILLUSTRATED offers invaluable knowledge and insight to take users' skills to the next level.